Oooolala!I’m back from the Lenten silence! I went to physio, I joined the gym to do weights everyday and I saw the consultant who recommended I have a steroid injection. I had TWO steroid injections to “settle” the inflammation that was visible on the MRI scan. I was told ‘no more yoga,’ and very rapidly went insane. When I moved house in early July I tried a new yoga studio as I really really missed yoga. I dutifully notified the teachers of my bursitis (inflammation of the bursa) and modified my practice. During my initial 20 day trial offer, I was in a panic… I was thinking “my shoulder hurts, I shouldn’t be here, I’m making it worse…” and walked out of the class. As I left I told them why I was walking out and told them I had been overdoing the yoga when I had been told not to attend. Now, in May I had been to a lecture on medical astrology and had just been reviewing my notes. I have Pluto in the 6th in Scorpio which translates as something along the lines of: symptoms and illnesses will have a root cause that is not directly obvious. This book basically states that we bury emotional issues and stresses in our body and they manifest as pain. The body heals itself. We are self healing. The notion that backs are poorly and stay broken for years is actually stupid. In the 80s stressed out people had stomach ulcers. Modern medicine caught on to the idea that this was a psychological cause and people stopped getting so many ulcers. Stress hides in the back these days. People with physical symptoms and pain (like me with my shoulder) become stressed out and fearful of making the pain worse… which only exacerbates the problem. Stress, lack of oxygen and proper breathing cause TENSION in the body and this manifests as pain. ANYWAY! I read the book, carried on with yoga. Immediately stopped seeing the Drs and Physios who were all endorsing this idea that my shoulder had decided to inflame and remain painful and inflamed for 9 months… I started practicing yoga (nearly) daily and now I am rocking and rolling and ready for tennis this summer! OBVIOUSLY this does not translate as ALL back pain is in the head. 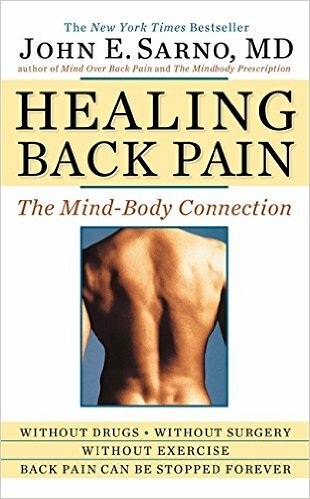 However… for tense, highly strung people who buy into the idea that their back is problematic, they may need to read this book and dig deeper into their psyche. A medical astrologer could also potentially IDENTIFY where psychological tension derives from. ALL IS NOT WHAT IT SEEMS! The mind is complicated and sometimes physical pain is easier to deal with than emotional pain. Explore that idea! Organic Beauty Week – Why Go Organic? Retrograde Mercury – Communication, Chaos and Creativity AND COINCIDENCE! Please sign up to my newsletter, I promise to send you only useful, interesting and entertaining updates once a month! This newsletter includes up to 20% discount codes for chart prints and news about events. Please sign up to my newsletter, I will only send updates once a month! This newsletter includes up to 20% discount codes for chart prints and news about events.